Grand Victoria Bed & Breakfast Our records show that this inn is closed. Serendipity Cottage Our records show that this inn is closed. Deer Creek B&B Our records show that this inn is closed. Neel House Our records show that this inn is closed. Quail Country Bed & Breakfast Ltd Our records show that this inn is closed. Susina Plantation Inn Our records show that this inn is closed. 1854 Wright House Our records show that this inn is closed. Thomasville bed and breakfast travel guide for romantic, historic and adventure b&b's. 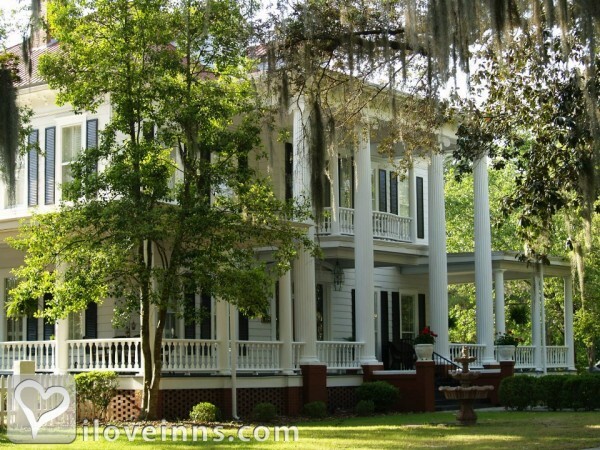 Browse through the iLoveInns.com database of Thomasville, Georgia bed and breakfasts and country inns to find detailed listings that include room rates, special deals and area activities. You can click on the 'check rates and availability' button to contact the innkeeper. Thomasville is best known as the City of Roses due to its scenic rose plantations. The city holds its yearly Rose Festival, which attracts people from different parts of the state and which fills the Thomasville bed and breakfast inns on such occasion. Aside from the Rose Festival, shopping can be fun and exciting at the Sweet Grass Dairy Marketplace, which is said to be the source of the best cheese around. If you like listening to the sounds of nature, a trip to the Birdsong Nature Center would be truly worthwhile. Just within the town, you may learn more about the history of Thomasville with a brief tour at the Thomas County Museum of History and the Lapham-Patterson House. The Pebble Hill Plantation is another site worth visiting. By 1884 Paxton House Inn.